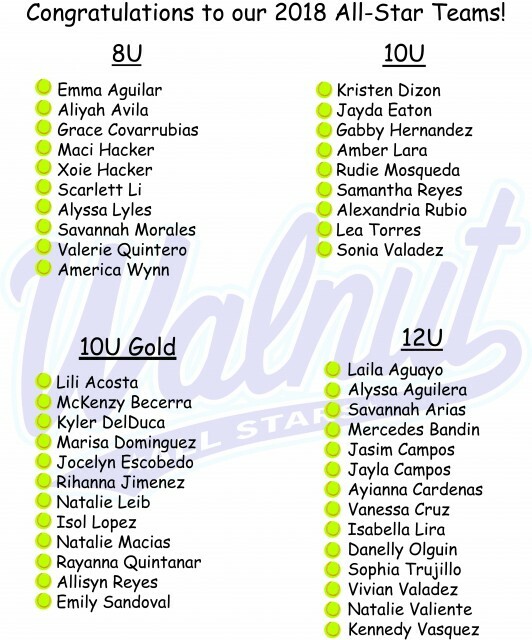 Updated Monday May 21, 2018 by Walnut Youth Softball. Memorial Weekeend Snack-Bar Sign up!!! 2018 Memorial Weekend Tournament Shedule is on Tourney Machine!!! about instruction, learning the rules of the game, opportunities for every girl to play multiple positions, having fun, whereas All Stars is about developing advanced skills, competing against the top teams and instilling a winning attitude. Some players thrive in this environment, while other players (and their parents) do not. Please remember WYSA All Star teams will comprise the best players from our recreational teams. Your daughter may have been a standout during the regular season; however, now she will be playing with highly skilled players and may not be the best player on the team. During the All Star season, be prepared to see your daughter learn and play a new position, and she may spend some time on the bench. Any player who has also participated with a travel team after March 31, 2017 is not eligible for All-Stars per ASA rule (Participation includes: a practice with; play a game with; or more than one tryout with any travel team, ASA or non-ASA). Finally, WYSA would like to remind our players and parents that participation in the All Star program is a privilege that requires a new level of commitment. This is a great opportunity for your daughter to take her game to next level. 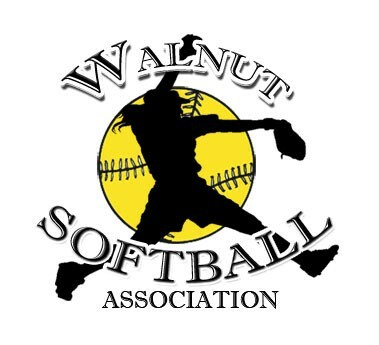 It is expected that our parents and players act in a way that brings respect and dignity to Walnut Youth Softball Association. Remember, the WYSA name is on the front of your daughter’s uniform and your family name is on the back. All Star practice to begin May 3rd. All MONIES due for season need to be completely paid in order to tryout for All Stars.